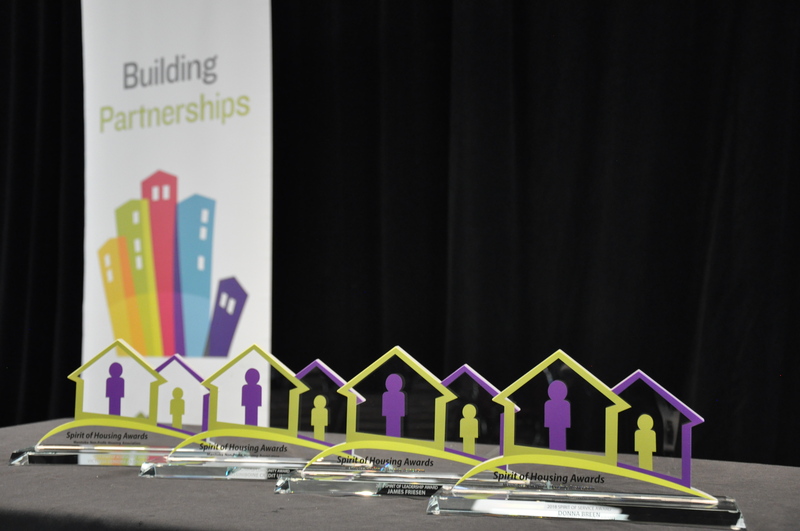 The Spirit of Housing Awards celebrate our leaders’ successes and achievements. 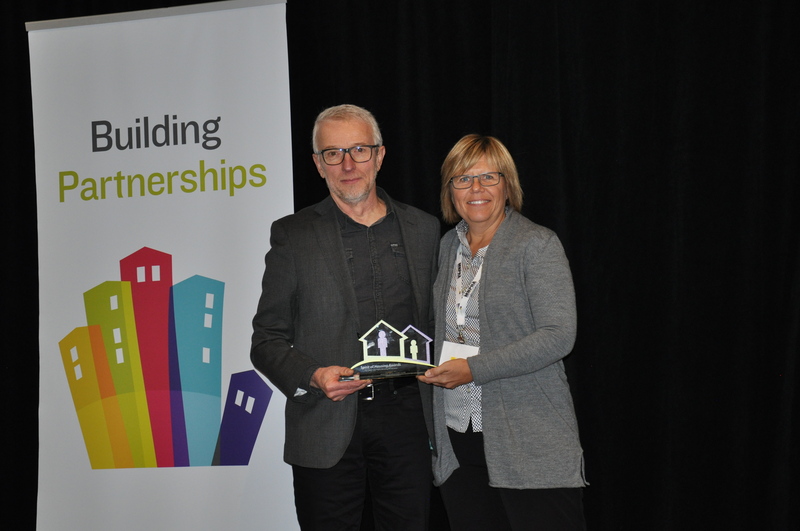 The awards were presented at the 6th Annual Building Partnerships Conference held October 15-16, 2018, in Brandon, Manitoba. Awards were presented by Laurie Socha, MNPHA President and Joanne Schmidt, Chair of the Awards Committee. MNPHA is proud of our members. We know you’re proud of each other, and we thank everyone who submitted nominations for this year’s awards. Honours an individual or organization whose significant support and committed partnership have contributed towards building a thriving, sustainable non-profit housing sector in Manitoba. 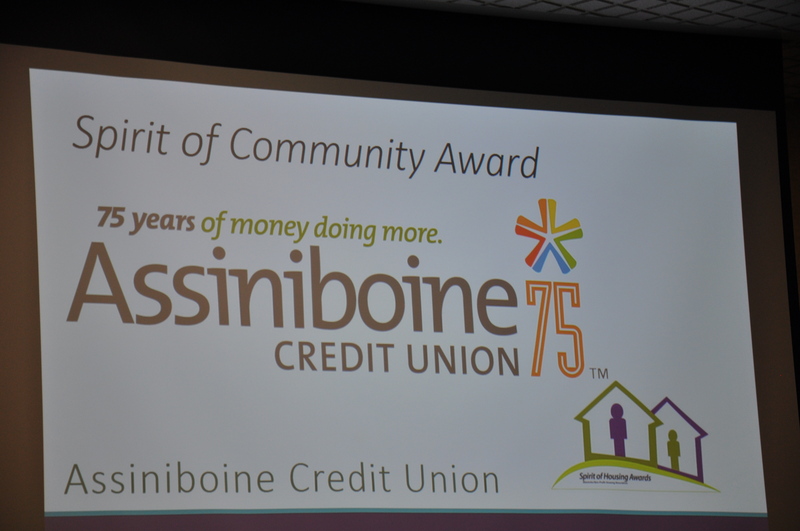 Assiniboine Credit Union has been a supporter of MNPHA since our beginning, but has supported the non-profit housing sector even before that through financing, sponsorships, time and capacity building, and advocacy. ACU has developed the Community Financial Centre, with a team specifically dedicated to working with non-profits and cooperatives. They have the skill, flexibility, and patience to partner with non-profit housing providers when we seek to create or strengthen our organizations. Their team fundraises, and brings other financial institutions and donors on board for important housing projects in our community, such as the Merchant’s Corner and the Old Grace Housing Co-op. As a financial institution, ACU has actively used its influence to advocate to all levels of government for effective and supportive housing, homelessness, and poverty reduction strategies. ACU is an active associate member in MNPHA, a true partner programs that provide substantial benefits like the grant program for building condition assessments for our members. Seven of our members have benefited from lower-cost building condition assessments to date, supporting their sustainability. Bill Dinsdale to accepted this award on behalf of ACU. 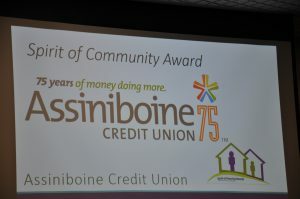 In addition to their support of non-profit housing providers, Assiniboine Credit Union has supported Bill’s involvement on our Board, who has a valuable member and brought a lot of insight to our board table. We’re grateful for ACU’s continued support and contributions to the sector. Recognizes a tenant or tenants associated with an MNPHA housing provider member who made a meaningful contribution towards making their own non-profit a better place to live, the well being of their neighbourhood and fostered connections among tenants and others within their community. In January, 1990, just a couple weeks after the Westman Lions building had its grand opening, the Victoria Seniors association was officially formed. The Association had already held a craft sale and carol singing, and was on its way to purchasing a television for the lounge, and organizing a blood pressure clinic. Almost 20 years later, the Association remains as active as it was, and has been instrumental in making Westman Lions a highly sought after and respected senior living facility in Brandon. The event calendar at Westman Lions rivals any community centre, completely run by the tenants of the building, who actively fundraise for the activities to help maintain low rents in the building, and to support other community events such as safe-grad and Operation Red Nose. 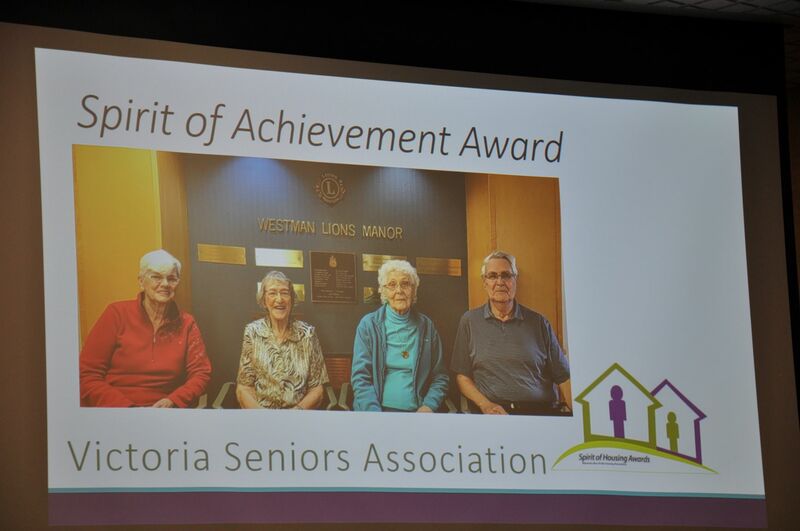 As a non-profit housing organization, Westman Lions are indebted to the work of Victoria Seniors Association and are grateful for their contributions and commitment to the well-being of their community. 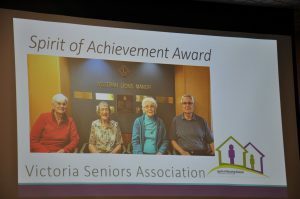 Pat Harrison, President of Victoria Seniors Association received the Spirit of Achievement award on behalf of the Association. grateful for ACU’s continued support and contributions to the sector. 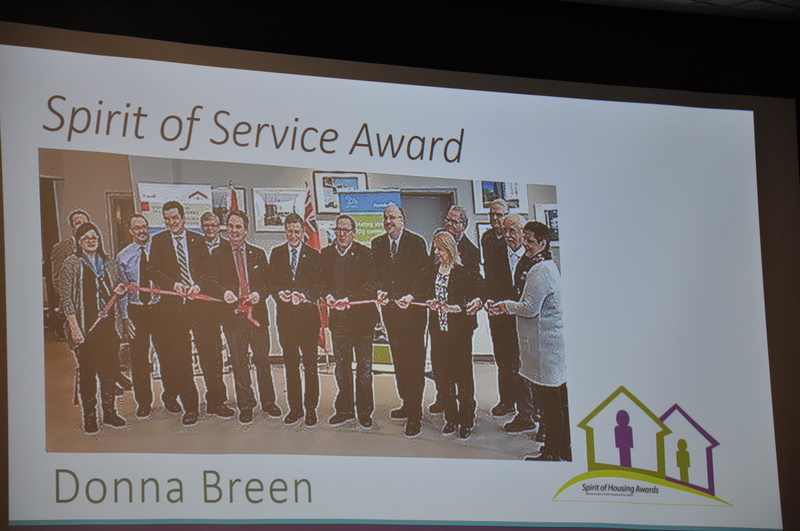 MNPHA is pleased to present this year’s award to late Donna Breen. Donna was a property manager with Winnipeg Housing Rehabilitation Corporation for 5 years, after working in the private sector. Donna showed exceptional compassion, friendliness, patience and dedication in her work with tenants. She always went above and beyond. While the Bell Hotel has been called housing for those who are “hard to house,” it was Donna’s favourite building and she had patience and love for the tenants who needed her most. Donna was actively involved the development of Sir Paul E. Martin Estates, which provides housing for individuals living with disabilities, older adults and families, and was incredibly successful at helping relocate tenants when Bluebird Lodge was getting a major refresh. In November 2017 Donna passed away due to cancer and continues to be greatly missed by her family, her colleagues, and those she served. As a non-profit housing provider Winnipeg Housing Rehabilitation Corporation appreciates and is indebted to the work of Donna. Michelle Meeches, a co-worker and friend of Donna’s received the award on her behalf. Honours the memory of Harry Lehostky, a long time champion and advocate of housing. It is given to a person in our community whose energy and vision has contributed a lasting legacy to the cause of non-profit housing in Manitoba. MNPHA is pleased to announce this year’s recipient of the Harry Lahotsky Spirit of Leadership Award to James Friesen. Starting in 1981, James Friesen worked at Eden Health Care Services, beginning as staff in the Housing Program and later as Director of the Housing Program. In 2001, James became Director of Development at the Eden Foundation and among other work, developed the very successful Head for the Hills bike ride which turned 16 this year. The ride provides an opportunity to build community with the goal of bringing hope, healing and community to those on a mental health journey. In 2008, James became the Chief Executive Officer of Eden Health Care. As CEO, James led the organization through many significant changes. Eden Health Care entered into partnership with the Central Regional Health Authority in providing mental health services for the entire region. In addition, James has helped to bring sustainability to the Eden organization, transitioning it into a multifaceted, wrap around service for individuals on the mental health journey. Under his leadership, the organization has continued to maintain and strengthen its relationship with the founding Mennonite Churches and developed new community partnerships which support the faith commitment of the organization. It takes leadership to connect sectors together, and under James’ leadership, Eden Health has been actively involved in the development of affordable housing. He has worked hard to advance housing options available to low income households and held strong on his commitment to create quality affordable housing, through collaboration with funders and creating positive partnerships with community associations. During his tenure as CEO, housing developments were completed in Steinbach (Wilson Courts) and in Winnipeg (Concordia Village IV). Eden housing and Supports were presented the CMHC Best Practices in Affordable Housing Award in 2008, recognizing community engagement in the design of Penfeld Courts. These partnerships have provided not only affordable housing but access to mental health support services to individuals who need them. 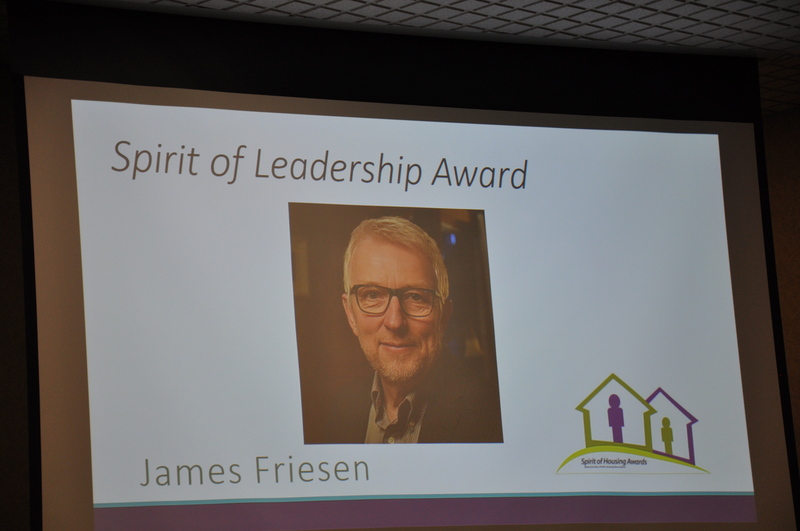 As a result, James is respected and well recognized in both the Mental Health community but also in the affordable and social housing sectors. Early on, James was a part of the MNPHA board and provided great insight and direction until his retirement in 2017. His vision and approach to collaboration, which we know comes from his roots in rural Manitoba, was always greatly appreciated. We celebrate and are grateful for James legacy of being an honorable and long serving leader and advocate of affordable housing. James Friesen has exemplified the qualities recognized by the Spirit of Leadership Award. 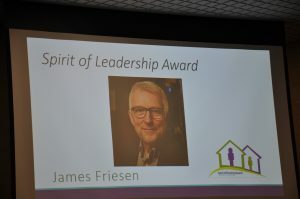 With heartfelt appreciation we invited James to receive the Harry Lehotsky Spirit of Leadership Award for the Manitoba Non Profit Housing Association. Thank you for joining us to celebrate the achievements of our sector and our partners. We hope you’re inspired to nominate your colleagues, tenants, and partners in 2019 and look forward to seeing the great things you will accomplish this year. To learn more about eligibility and judging criteria including tips for writing nominations, download our Awards Info Package. Honors tenants each year from across the province that helps to make their non-profit a better place to live. Honors an employee or volunteer each year from across the province that helps to make their non-profit a better place to live. 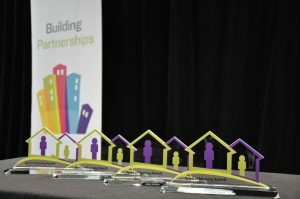 Honors an individual whose energy and vision contribute to the cause of non-profit housing in Manitoba. MNPHA’s mission is to build and support a strong and diverse non-profit housing sector. 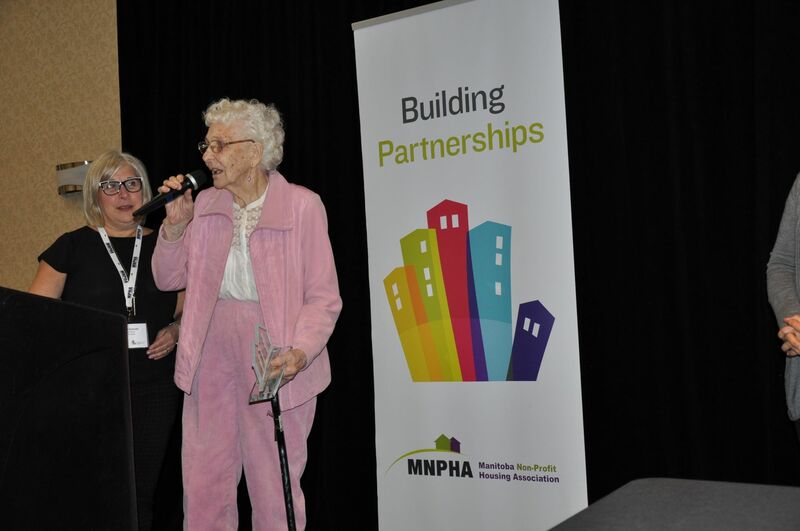 We work together with our members to promote housing excellence through the MNPHA Awards. 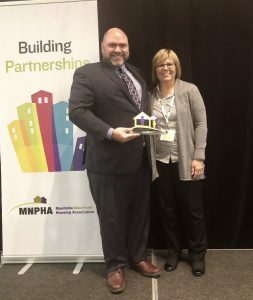 MNPHA Awards recognize and reward individuals (staff, board members and tenants), groups and non-profits who made an outstanding contribution to the quality of non-profit housing.